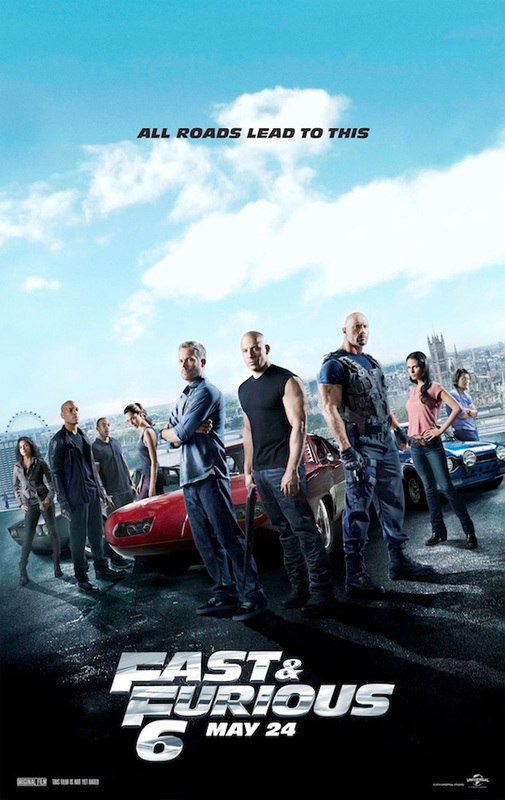 With some pretty action-packed trailers already convincing people to see this summer's sequel Fast and Furious 6, the posters don't need to do much. Therefore, what looks to be the final poster for the film just showcases the heroes from our cast including Vin Diesel, Paul Walker, Dwayne Johnson, Jordana Brewster, Michelle Rodriguez, Tyrese Gibson, Sung Kang, Gal Gadot, and Chris "Ludacris" Bridges. However, no sign of Luke Evans and Gina Carano, but we'll see plenty of them on the big screen next month. As someone who didn't particularly love Fast Five, I'm still pretty pumped for this one. Again in London....how many films are based in london where it shows something bad happening in it...?? Skyfall, G.I Joe to name a few......people in London, keep ur eyes open!! Considering London has a bigger metro than New York, you'd expect it to be in more! Agreed! Look at the cloud effect behind the word 'Lead' looks like a mushroom/nuclear bomb going off. Another heads up poster. You know that thing of seeing animals and objects in clouds? You're right, dude. What's this obsession with London all of a sudden? Not exactly an exotic locale for a movie. The obsession with London is Hollywood chasing after tax credit. Outsourcing the work from the US so they can get millions in tax dollars from another country. Thus the loss of thousands of jobs and the degradation of cg artists into blue collar workers. Why london? They don't even have car culture. Studio is shameless and greedy in their pursuit of free tax dollars to make their films. If India was giving tax subsidies to make films there, we'd be seeing all these films taking place there.